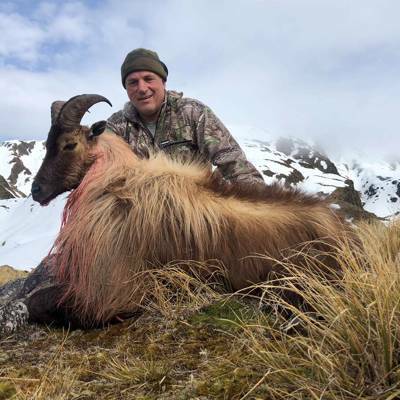 We have earnt the reputation as the leading free range foot hunting outfitting company for hunting Tahr on private Wilderness land. 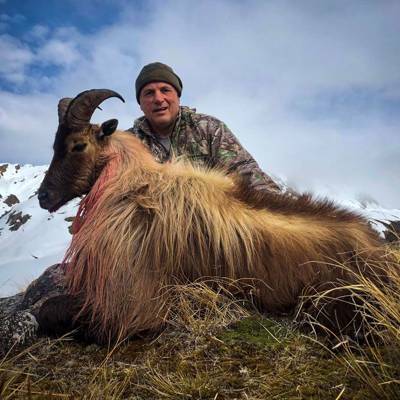 With 4 private properties ranging from 16,000- 47,000 acres gives us the ability to hunt areas according to weather patterns and hunters ability. 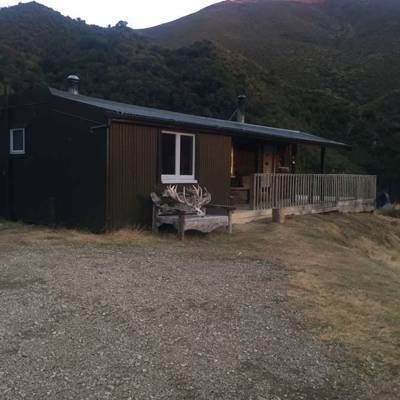 As all our properties are within 35 mins of our own All Seasons lodge we can hunt each day from here, or if you would prefer stay in one of the private cabins right on the property. 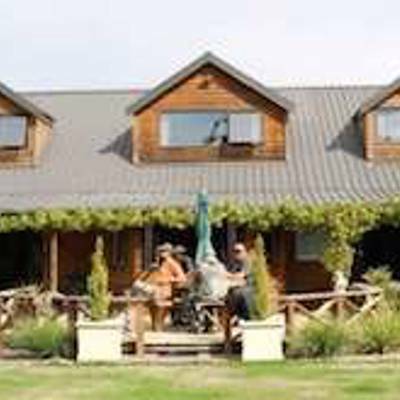 This all cuts down on valuable time which is not spent travelling. 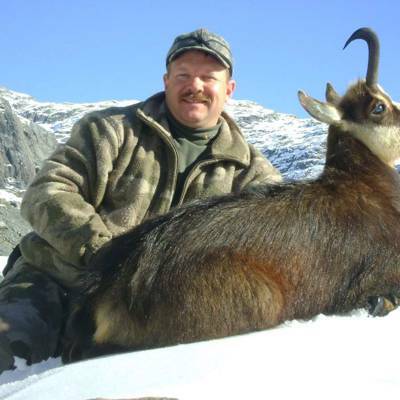 1 hunter and non hunter is included with the option to add additional trophy Bulls, game, days and hunters or non hunters. 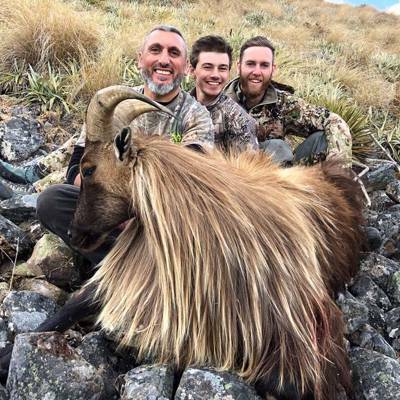 This a spot and stalk hunt where we can glass Bull Tahr from the truck to asses trophy quality, or for those die hard mountain hunters we can climb into the glaciers with crampons and ice axe to go after those soletary old Bull Tahr. 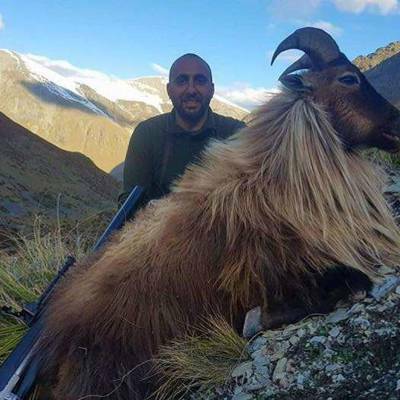 Southern Alps and includes New Zealand’s best and most exclusive hunting grounds for Himalayan tahr (also called thar) and alpine chamois. 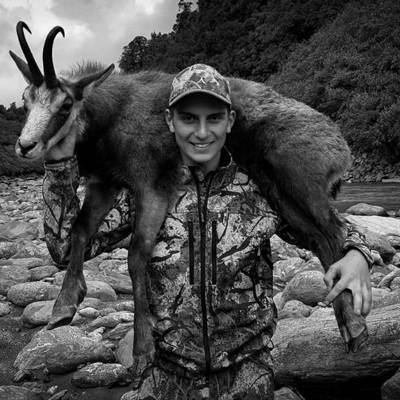 Our hunting methods match the level of fitness of individual hunters. 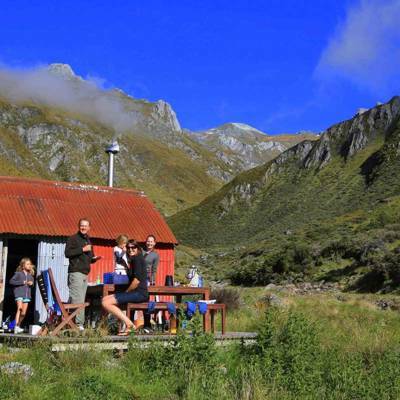 We can take a helicopter daily from comfortable lodgings, or do wilderness spike camps. 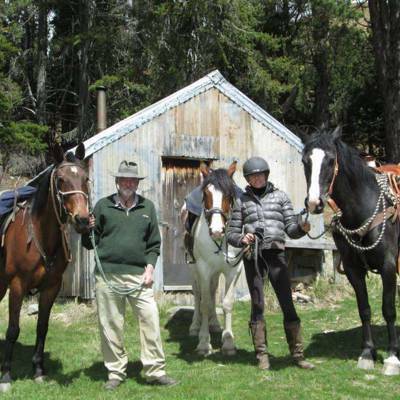 We also utilize private land concessions where access is by 4WD and accommodation is in alpine cabins - some complete with hot showers. 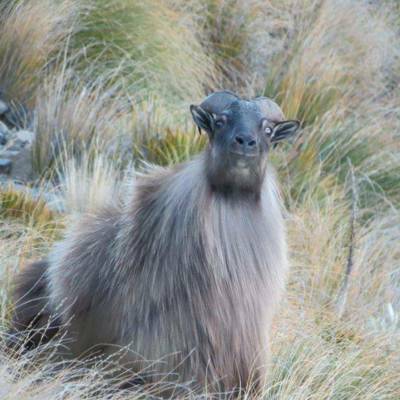 Himalayan tahr were transplanted to New Zealand in 1904 and they have thrived in a habitat that is very similar to their native home in the Himalayan mountains. 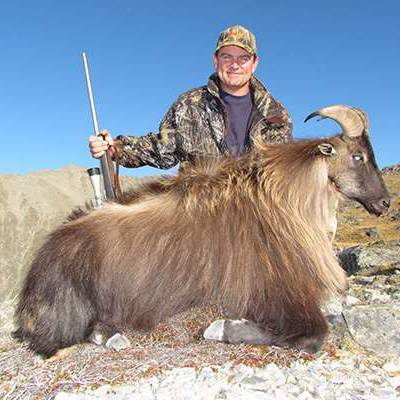 Tahr can be hunted all year round; however their pelts are at their best from May to September. 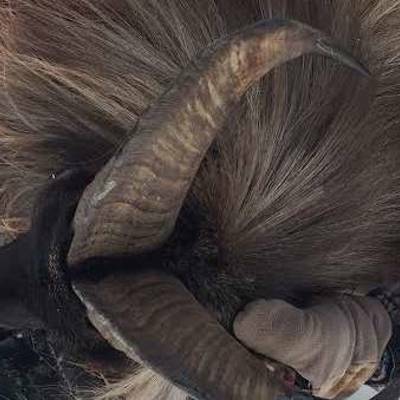 Their rut period is May/June, during this time larger bulls are easier to locate as they join with the nannies. 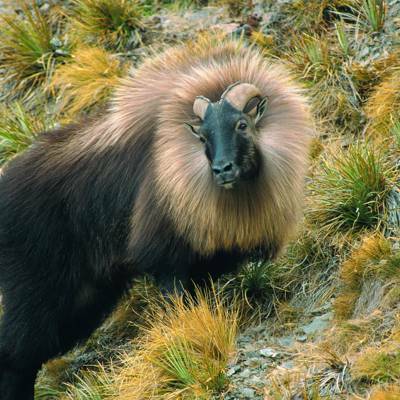 The Himalayan tahr in his full winter glory, with golden mane flowing in the wind, is arguably one of the most impressive game animals in the world. 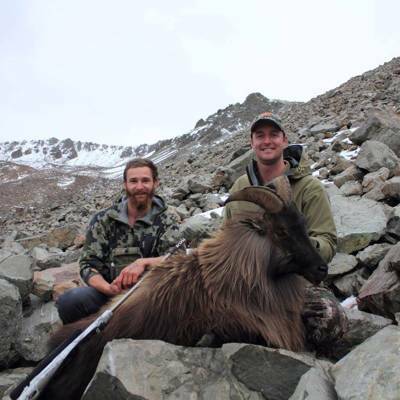 Their habitat makes them one of the most challenging and rewarding trophies to obtain. 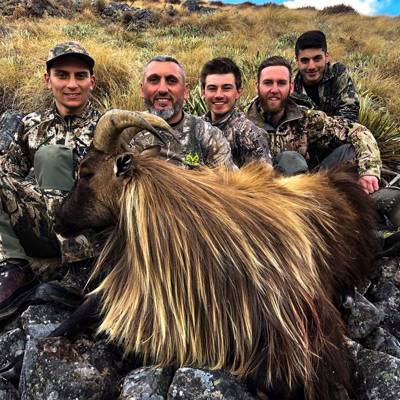 Hunting tahr is the highlight of many hunters’ visits to New Zealand. 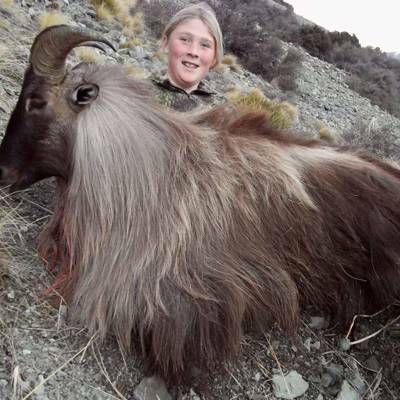 Additional management hunt on species of choice for no additional cost. 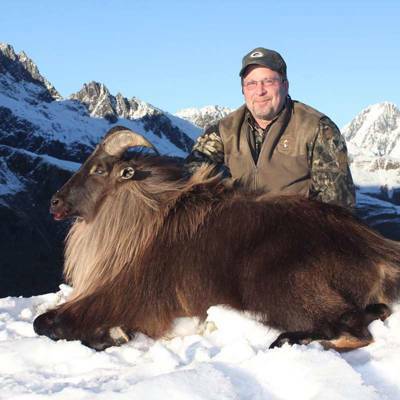 The package offer includes 5 days/4 nights and 1x Tahr trophy for 1 hunter. 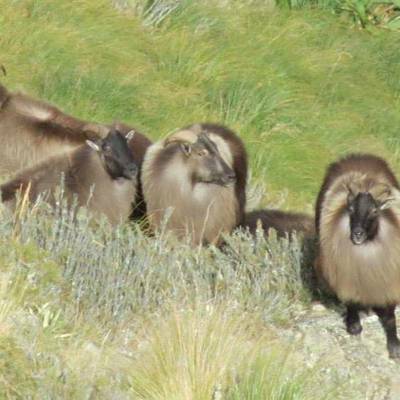 Helicopter access can be arranged to the tahr and chamois hunting areas at an additional $1500-2500 USD p/hour. 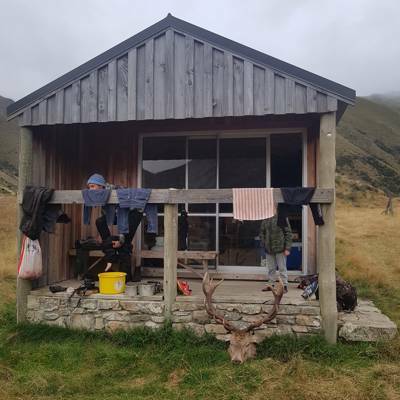 Whether we are guiding you around, showcasing the best of our country, or reliving your tales from earlier in the day, we guarantee you’ll feel at home when hunting with our family.Come as visitors, leave as friends. 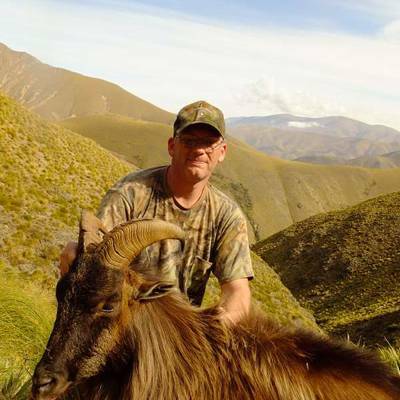 We provide a home for one of the largest privately owned trophy red deer herds in the South Pacific. 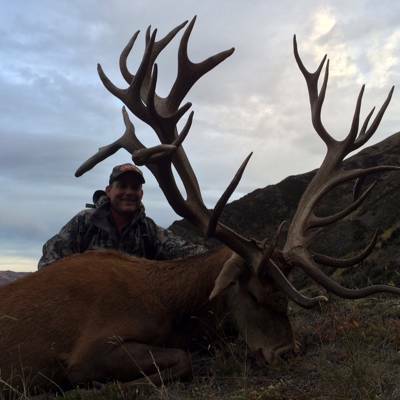 Thanks to decades of carefully focused game management the quality of our Red stag is unbeatable. 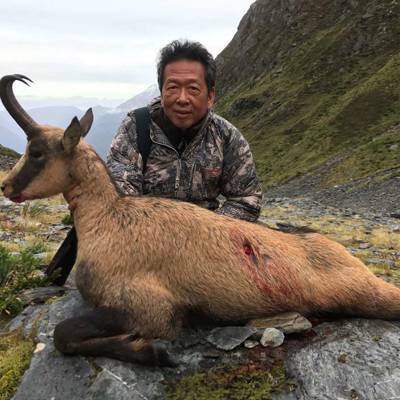 This is how we’ve gained considerable acclaim for producing world class trophies, with stags scoring in excess of 600SCI and 20kg of antler. 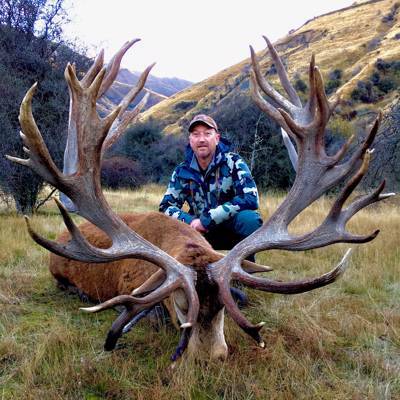 A trophy this big provides our hunters with a genuine ‘larger than life’ experience – it’s an exceptional time that you’ll never forget. 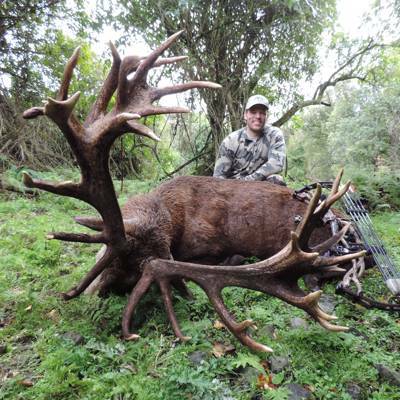 World class trophies in stunning scenery! 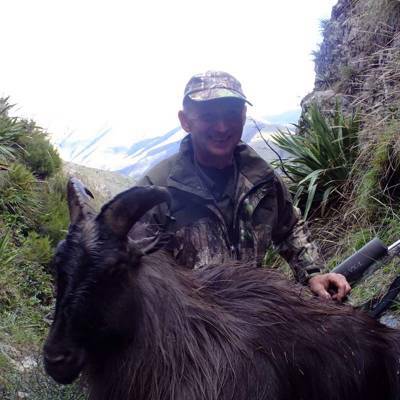 We offer the finest red stag hunting in New Zealand. 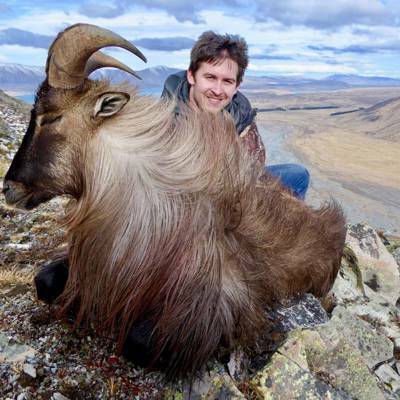 We have produced several former world records - and there will be more. 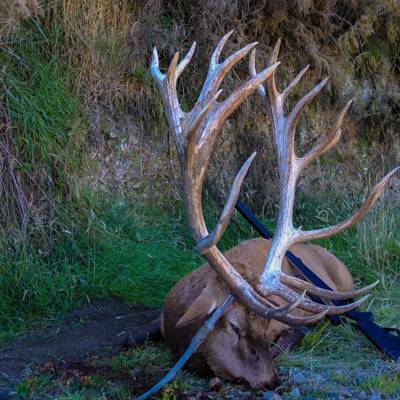 Over the last few seasons, New Zealand's largest red stags have been harvested on our property. 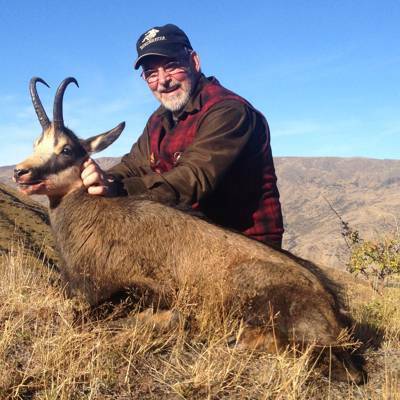 SCI gold medal benchmarks will vary from year to year; at the time of writing a gold medal stag starts near SCI 361. 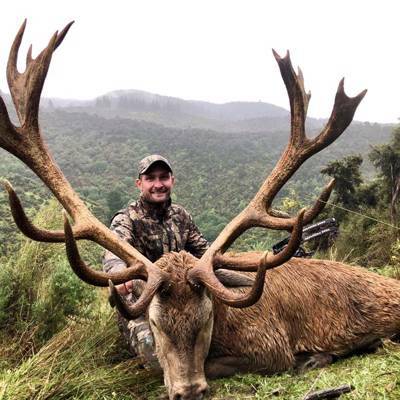 A gold medal stag will typically carry more than 20 points and is a very impressive animal. 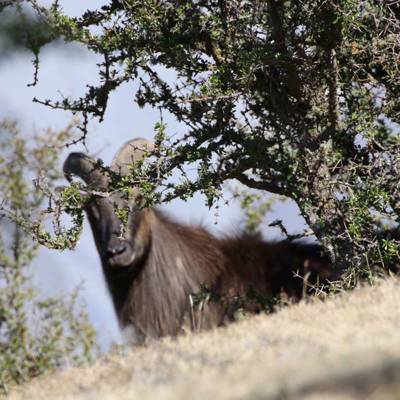 When a stag roars it is a gutteral, hair-raising, lion-like roar that will be sure to get your heart racing. 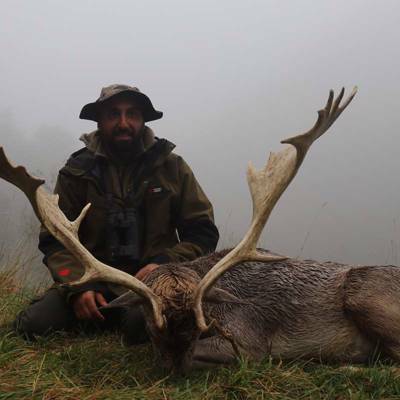 To hunt a roaring stag at close quarters is one of the world’s most unforgettable hunting experiences. 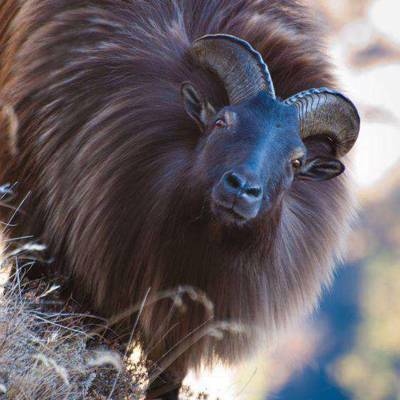 The Himalayan tahr in his full winter glory, with golden mane flowing in the wind, is arguably one of the most impressive game animals in the world. 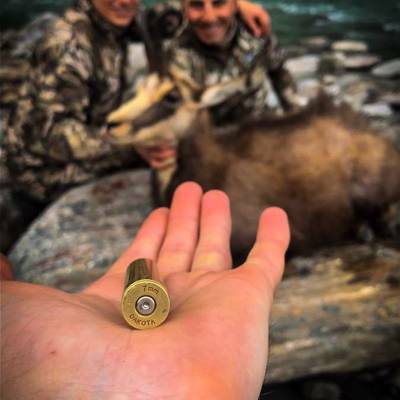 Their habitat makes them one of the most challenging and rewarding trophies to obtain. 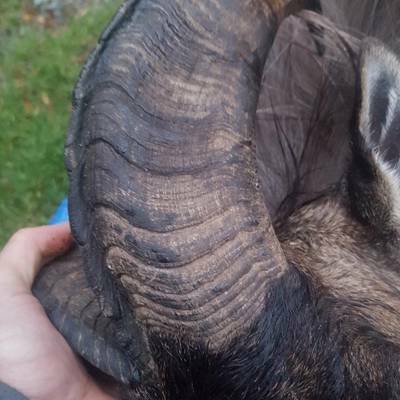 The horns of the chamois found in New Zealand are as large as any found elsewhere in the world. 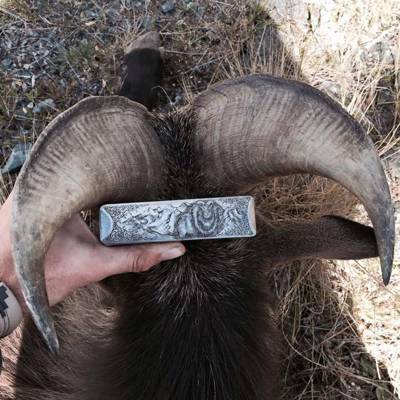 Trophy horns start at 8 ½ inches long but can be as long as 11 inches. 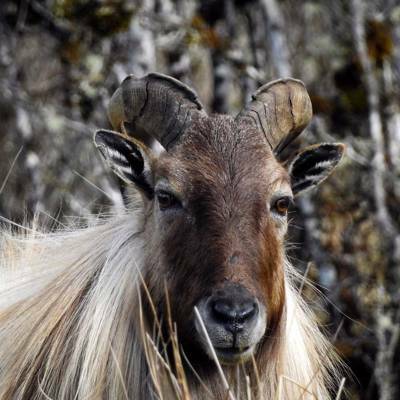 The chamois has keen senses especially its eyesight. It is very vocal when disturbed emitting sharp warning whistles. 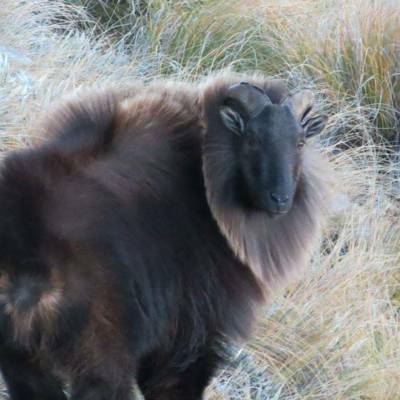 The winter pelts are a luxurious black color, with white facial features. In summer they are an attractive fawn tan. 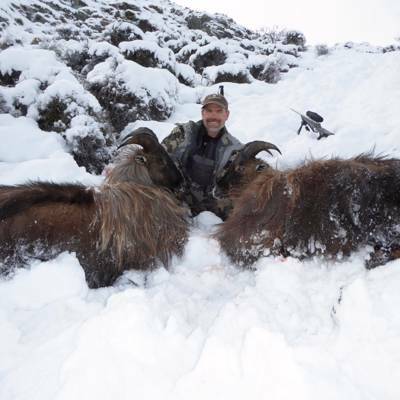 Additional management hunt on species of choice for no additional cost. 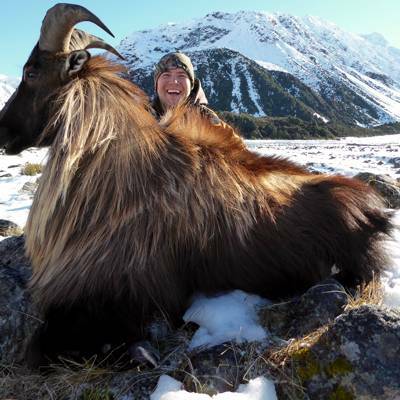 Package includes 7 days/ 6 nights and 1x Tahr and 1x Chamois trophy for 1 hunter. 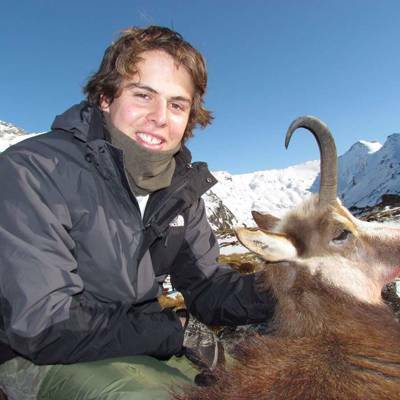 Helicopter access can be arranged to the tahr and chamois hunting areas at an additional $1500-2500 USD p/hour.